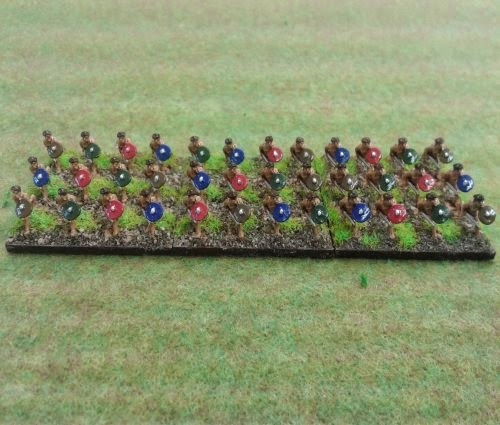 Here is my guide for painting Gauls, Gallic & Celtic Warbands during Caesar's Gallic War uniforms using Vallejo acrylic colors. 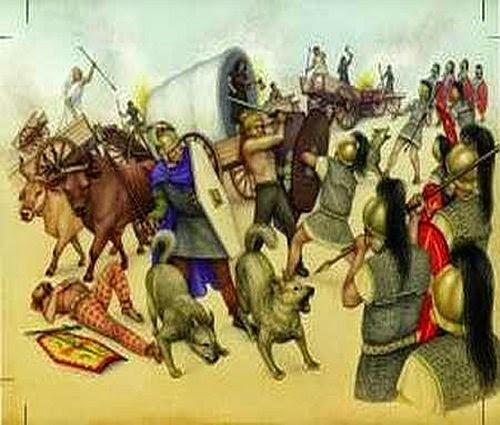 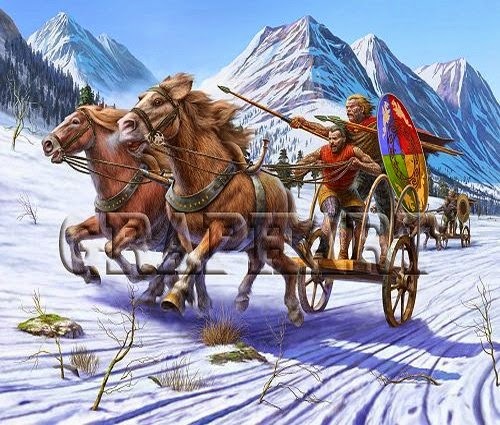 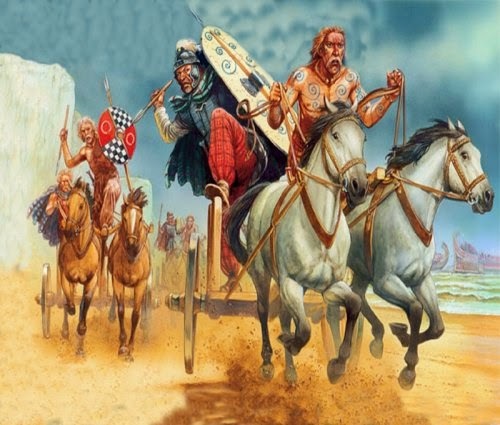 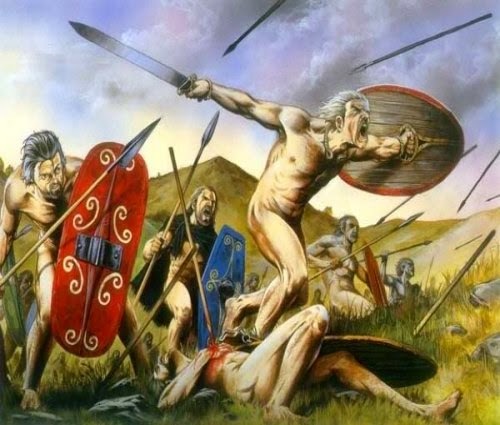 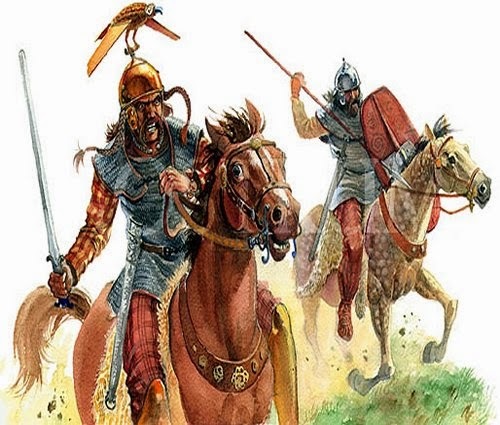 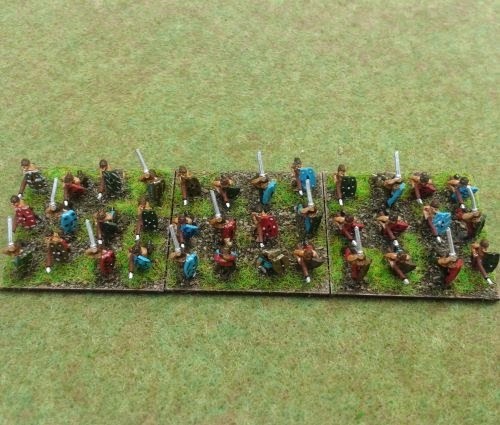 I have also done a painting guide for Caesarian Roman Legions and Germanic Warbands. 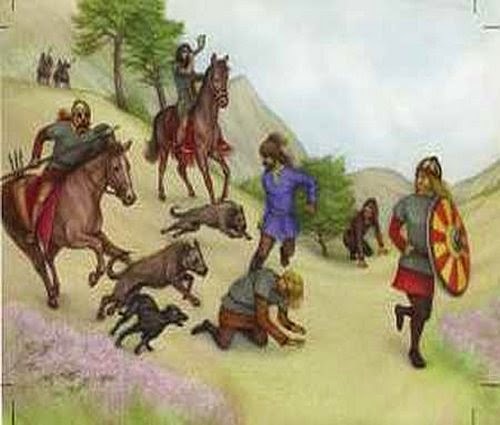 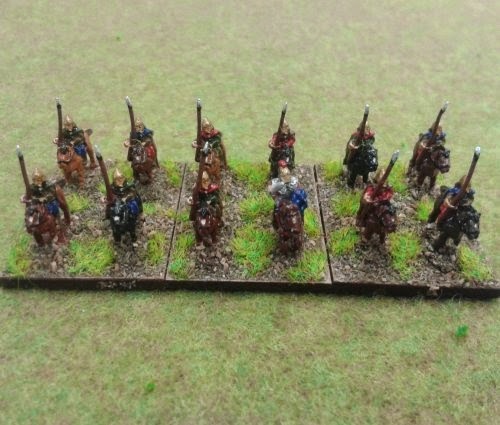 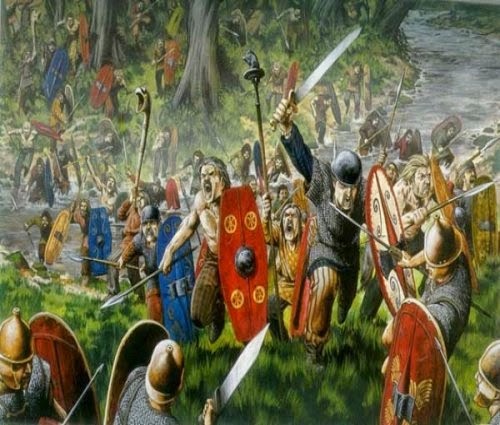 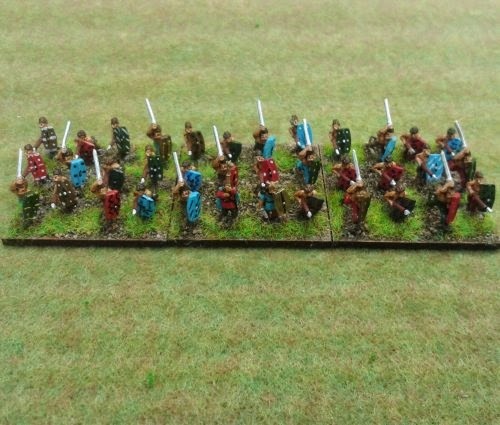 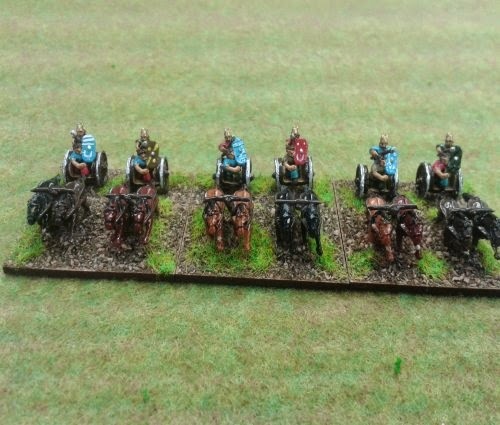 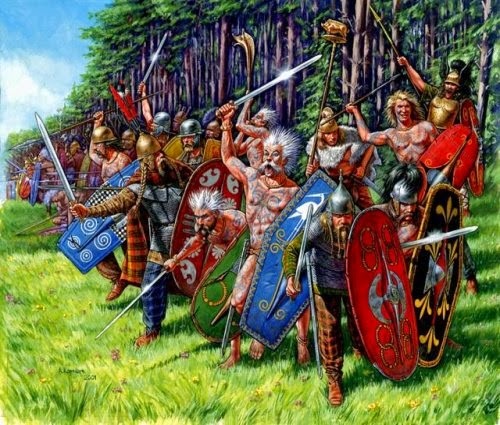 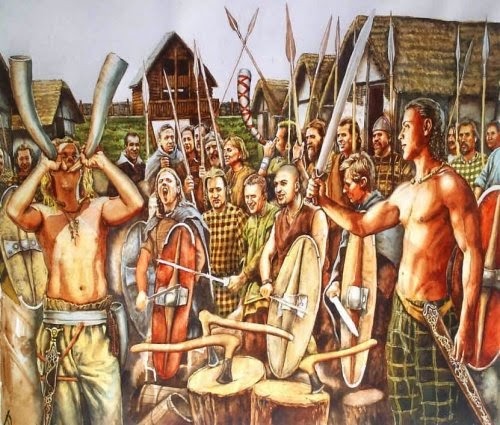 Painting irregular armies such as the Gallic & Celtic Warband, in an assortment of clothing colours looks best. 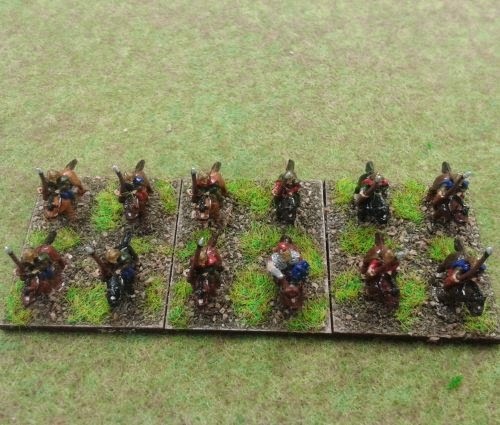 To do this job quickly I sort out the figures into groups prior to painting. 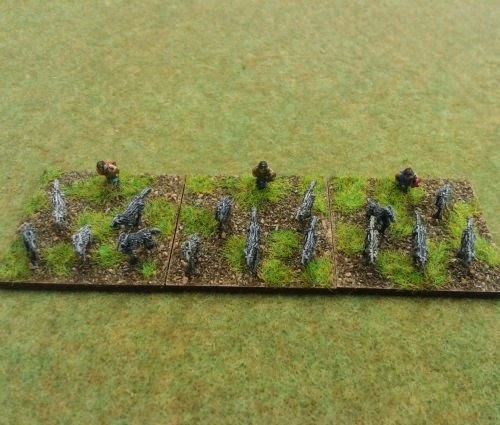 And then paint the groups in order see below. 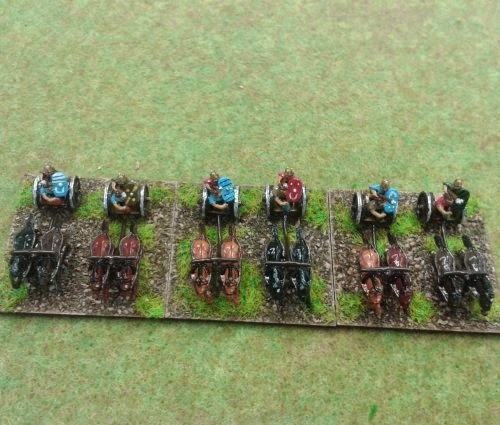 Next, choose another 5 colours and do exactly the for trousers or just mix the order up. 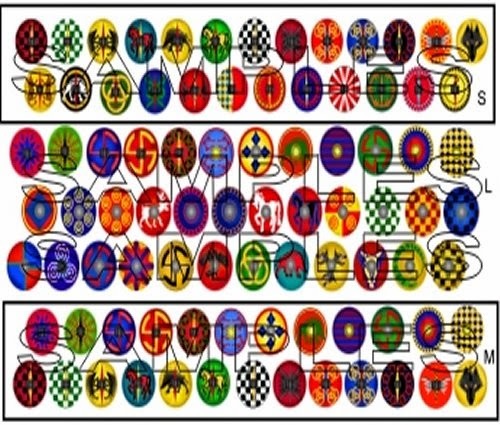 Transfers provide a quick and easy way to add complex shield designs to your figures. 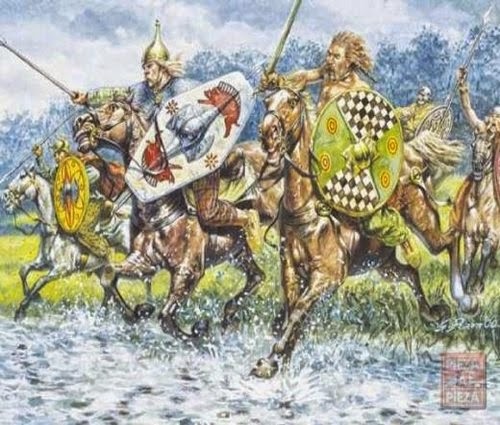 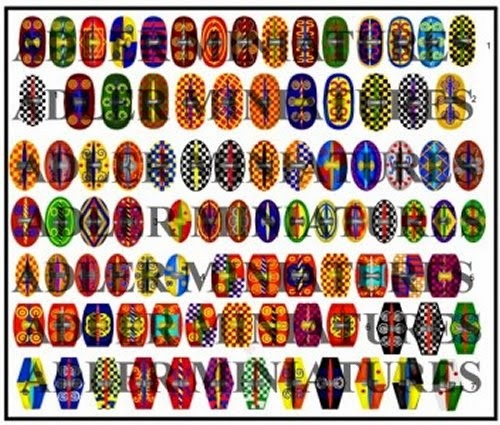 Adler sells 10mm Gallic shield transfers.